We begin this day with the Meditation that appears on Sunday, contacting the Peaceful Presence of the Soul, connecting with the Soul Star Group and with the Christ to be infused by His Presence. Today we shall reinforce the Entry into the new Jerusalem, carrying the energies contacted forward into today and deepening them as they flow through our vehicles. Let us review select Contemplations from Sunday to reinforce the Christ field … and soak in their energy, widening the channel of our reception and reinforcing the higher divine pattern set down for us by the Christ … imprinting the Way forward and accelerating the Journey of the Soul through our complete surrender to and capture by the Divine Self of God Imminent. We suggest a contemplative review that begins with the section titled CONTEMPLATIONS ON THE NEW JERUSALEM (next to the image below on the Sunday page) all the way to the end (of the Sunday page). In the Metaphysical Bible dictionary, the word Jerusalem is derived from two meanings. Jeru means to find or constitute, and salem means peace, quiet, safety, harmony, prosperity. Jerusalem symbolizes the Holy City of a great Center where the Will of God, the Father, is known. The Christ said, “I am the Way, and the Truth and the Life”, no one comes to the Father except through me”. 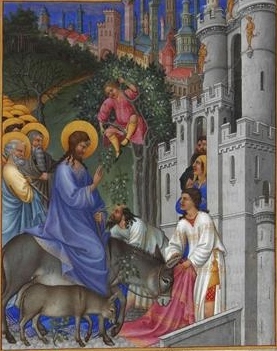 Christ, and our own Christ nature, leads the Way to Jerusalem, to the City of the Father – a great Center of Life. Christ leads the Way to Life more abundant. The word Jerusalem means the habitation of, possession of and foundation of peace, and is the abode of true prosperity – of “life more abundant”. Esoterically, the “new Jerusalem is the summation of the twelve ideas of the Divine Mind of God”. Let us be reminded of the twelve signs of the zodiac corresponding with the twelve-petaled Heart in the Head of the 1000-petaled lotus – a great Center of Life energy. In the body temple of a human being, Jerusalem represents “the nerve center behind the heart, the cardiac plexus. From this point Spirit sends its radiance to all parts of the body”. Consider the radiant power and purpose of the sacred Heart. The ideas in the Mind of God of a new Jerusalem are based upon the Will to Good born in the matrix of Love. Let us remember that the Will of God for Peace on Earth demonstrates through "right human relations". We have moved into new cities worldwide thriving with the energy of Soul cultures. In these holy cities, All Relations reflect the culture of the Soul. As this reality settles upon our consciousness, let us consider this deeply now ... what more has come into or through your presence, your expressions, your cooperative interplay, your presentations, your "countenance", and your resources … as Disciples of the Christ? We start with where we are. We begin with our own lives as new life pours through the present. Bring this heightened energy to what is in front of you right here and now. Consider your service work. What is yours to do? What is yours to be? Consider now all your relations: co-workers, neighbors, family, people you know, and those you do not know so well - all the varied characters in the world. As this heightened energy pours into all your relations, what is called into the field that would build the new City in the matrix of Love? Consider the Father and the Mother — the Father’s Will in the substance of the Mother working out as the Christ manifesting in the fullness of Glory through the form. Let us be in the Field of the Father and the Mother as Christs in manifestation — walking the planes of the earth. As we take responsibility for fulfilling the will to good in the matrix of love in our own lives and spheres of influence, it is universalized. Mondays are ruled by the Moon that emphasises the form: re-formed, transformed, transmuted and transfigured, demonstrating higher orders of livingness in emergence. "I Come Forth and From the Plane of Mind, I Rule". When form-life is ruled by the Christ Mind (the Mind of the Soul), a New Jerusalem shall emerge upon the outer planes of living.